Many of you probably pack the trunk of your car with a few items that will be of use should your car break down or get stuck in the winter. You probably take along a bag of sand, a small shovel and perhaps a blanket in case something happens. Then come spring, you clean out your trunk and the items get stuck in a corner of the garage. Some of you may have entire emergency kits you keep in your car in the winter that include first aid kits, food and flashlights. Having an emergency kit in your car in the winter is a good idea. It is an even better idea to have an emergency kit in your car in the summer as well. 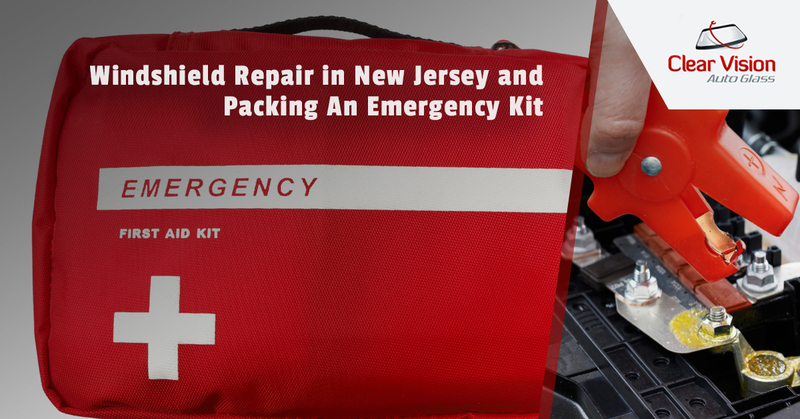 Clear Vision Auto Glass, your windshield repair service in New Jersey, offers the items you should have in a summer emergency kit for your vehicle. You cannot call for help without a cell phone. You will also want to pack a mobile charger and a charging bank, as well as a car with a dead battery, isn’t going to charge your cell phone. A typical bug-out bag will have at least three days worth of food. While this would be ideal, it might not be practical and is probably unnecessary. You should, however, have some food in your emergency kit to keep family members comfortable should you be stranded for several hours or even overnight. You don’t need to pack canned goods and army surplus meals, a few protein bars and a couple of candy bars is quite sufficient. Again, there is little need to carry three days worth of water in the trunk of your car. Still, play it safe and always have a few bottles of water handy in case you get stranded. A flashlight will do just fine. In fact, two or three flashlights would be even better. You might also want to have a lantern or even candles. You should also have extra batteries as well. Flares are also recommended. It might be summer, but there are places where it still gets pretty cold at night. For this reason, you will want a few clothing items in your emergency kit including a long-sleeved shirt, jacket, hat and gloves. If you do happen to get stranded overnight, you will want to be warm and comfortable. We know that Google maps is on your smartphone and many of you probably have a GPS in your vehicle. But in an emergency situation, you don’t want to have to rely on things like a battery and cell phone coverage. A map doesn’t need to be recharged. Before heading out on vacation, pack your emergency kit and have your windshield checked by Clear Vision Auto Glass. Call now.